Lessons are scheduled at your convenience and take place in downtown Vancouver at the VSO School of Music. Open to anyone from complete beginner to advanced musician. All ages welcome. No musical experience required. Register here or call Scott Jeffrey, Registrar and Communications Coordinator, at 604-915-9300 ext 111. TEACHERS, BOOK A PERFORMANCE FOR YOUR CLASS! Starting with a folk tune from Afghanistan, two of Vancouver’s most celebrated world musicians, Mohamed Assani and John Oliver, take young audiences on a musical journey around the world. 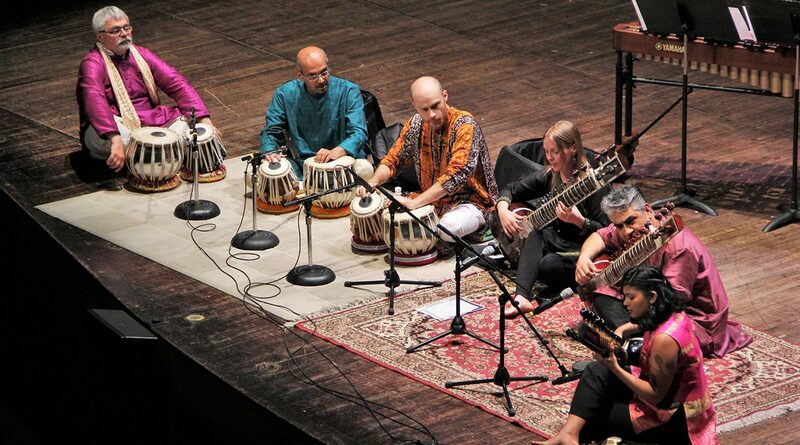 Using ruan, sitar, guitar, tabla, keyboard and electronic instruments, they show how a traditional folk tune transforms when it leaves Afghanistan and travels to China, Moorish Spain, India, Brazil and finally present-day Canada. This unique new show invites young audiences to be fellow travellers in an interactive musical journey exploring musical adaptation across time and place. Using the medium of music, Mohamed and John share lessons about how people adapt and impact each other when they travel to new places. At the heart of Tune Trips is a message about our interconnectedness – that despite borders and nationalities, we share more than we may think and impact each other in amazing ways. Duration: 45 – 50 mins. A typical one-day residency starts with an inspiring 30-minute assembly for the whole school, where Mohamed introduces students to the instruments and music, performs on sitar and tabla (hand drums), and engages in Q & A. This is followed by 3-4 interactive workshops with smaller groups (up to 30 students), resulting in a performance outcome at the end of the day. 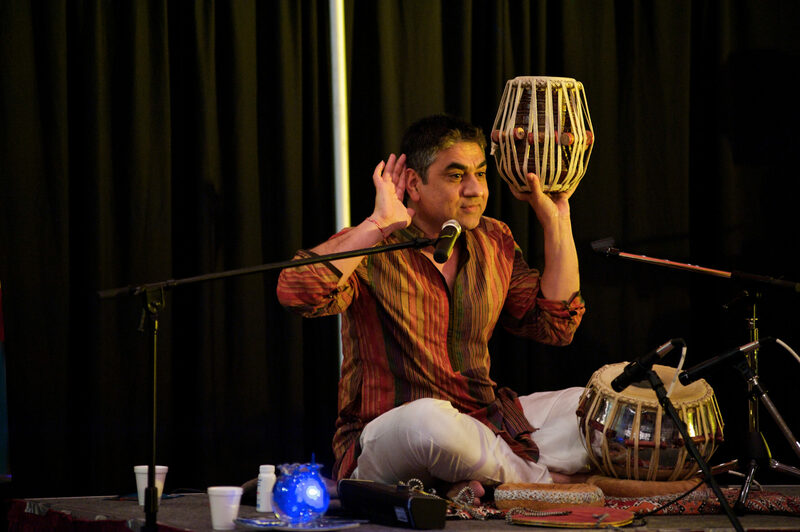 The workshops give students a hands-on music-making experience using South Asian melodies and rhythms. introduce students to the basics of rhythm, including pulse, tempo, etc. develop coordination through clapping, chanting, body drumming, etc. Longer residencies can include composition work, advanced performance practices and more. These are tailored for each school based on your objectives.